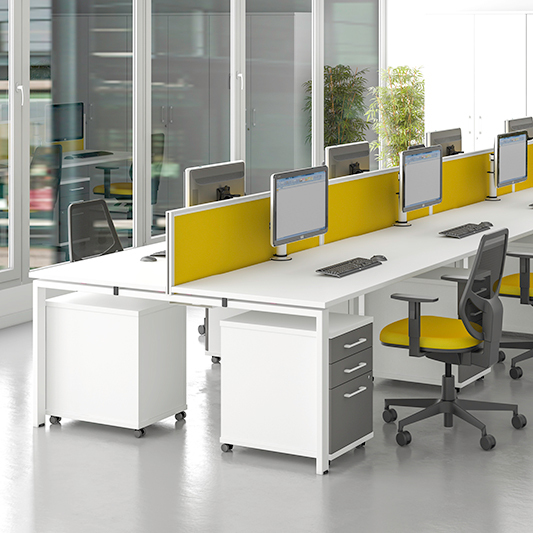 Office Update have over 30 years experience in manufacturing, delivering and installing all shapes and sizes of desking. 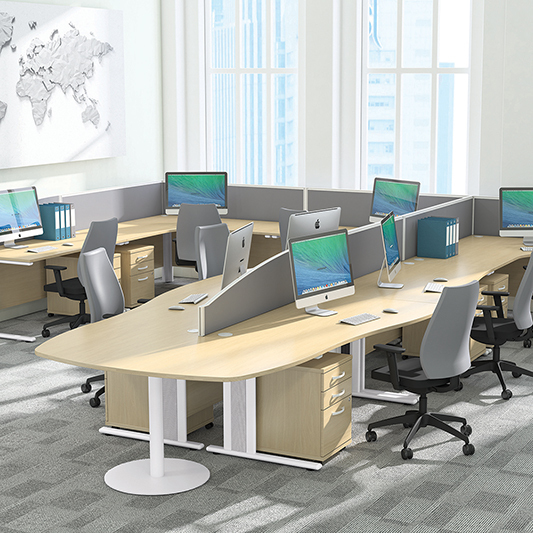 Office desks with over 12 MFC wood finishes to choose from, 8 different leg frames and numerous desktop shapes for your perfect office environment. 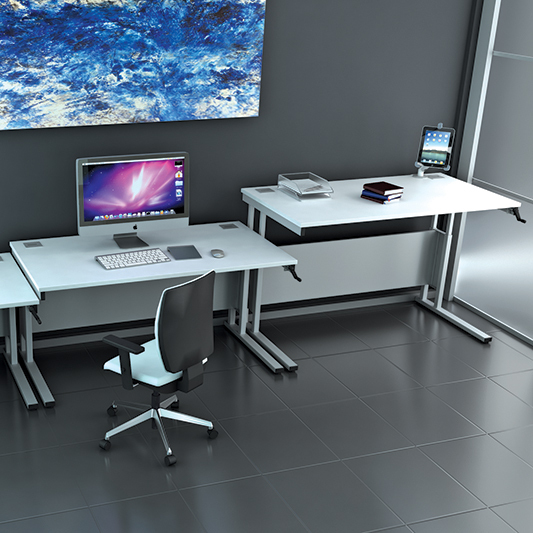 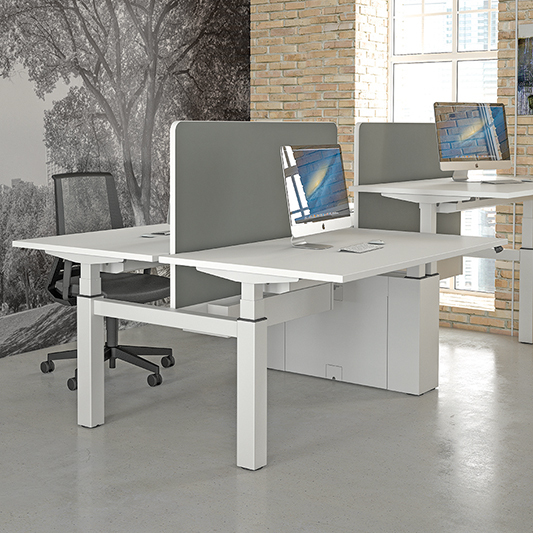 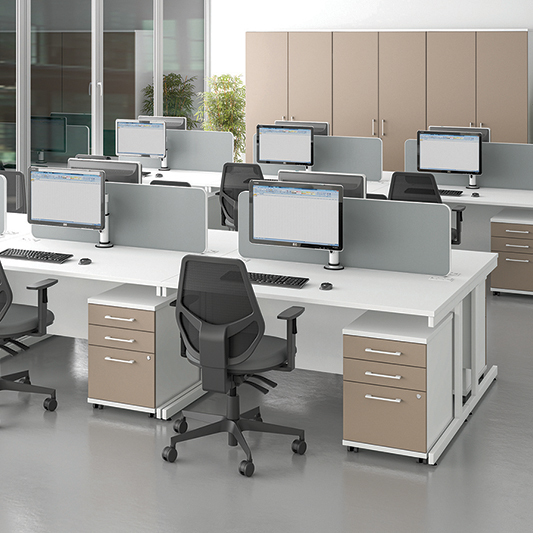 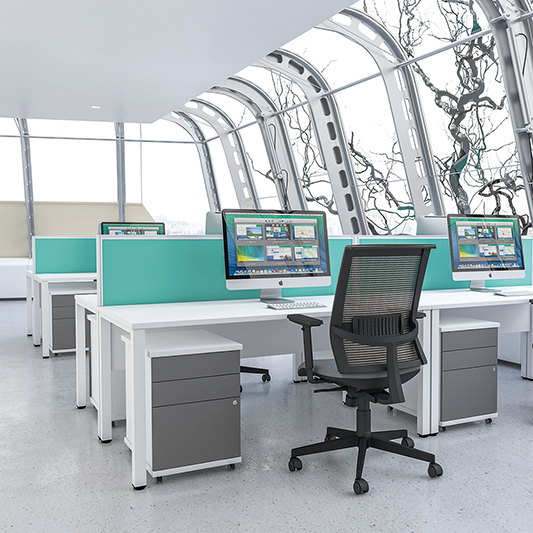 Standard rectangular cantilever frames, cost effective bench and beam systems and sit/stand work stations are amongst our vast collection of desking solutions.